Following on from a win for Best Use Of Search – Finance at the UK Search Awards in 2018, the position as finalists at the UK Biddable Media Awards 2019 and their announcement as a Clutch Leading UK SEO Agency, Absolute Digital Media have done it again. 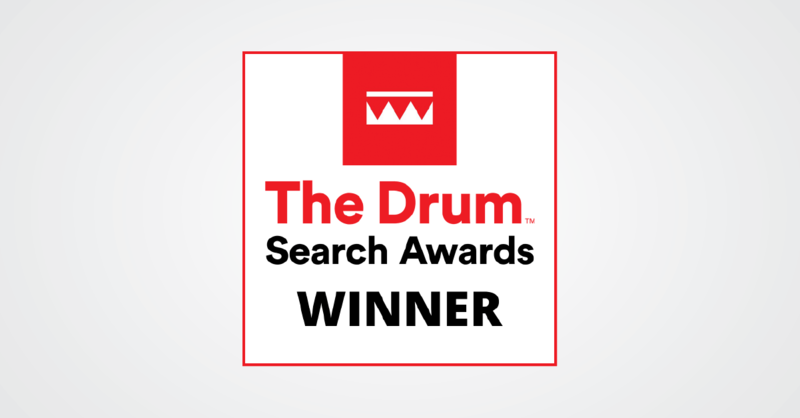 The full-service digital marketing agency was awarded the best use of search award in the Finance and Professional Services category at The Drum Search Awards last week for their work with short term loan lender, Uncle Buck. This award celebrates their innovative and forward-thinking strategy that has seen Uncle Buck reach position one on Google for some of the industry’s most competitive keywords including Payday Loans and Same Day Loans. Their carefully designed strategy featured the resolution of a number of technical issues including duplicate meta descriptions and slow page loading, the integration of on and off page content marketing strategies and full optimisation across all content. Absolute Digital Media’s goals extended past just achieving position one for Uncle Buck; through their strategy, they saw an overall increase of 76.64% in top three positions in the SERPs, as well as a 105.17% increase in new users. Absolute Digital Media have also seen Uncle Buck through major algorithm updates on Google. The Medic update in August 2018 saw YMYL (Your Money Your Life) sites affected in the SERPs due to their E-A-T (Expertise, Authority, Trustworthiness) scores. For Uncle Buck, Absolute Digital Media worked tirelessly to produce a content strategy that would showcase Uncle Buck’s expertise in their industry, build trust with current and new customers and carve out their position of authority in the industry, exceeding the original goals set for the strategy. Absolute Digital Media are a full-service digital marketing agency operating in Essex, London and Lithuania. Their services cover everything from SEO and PPC to Content Marketing, Web Development and Social Media. By utilising each of these services in their integrated and fully-tailored strategies, they are able to offer their global and local client base innovative campaigns that win awards. Their client base consists of household names, not least including The National Childbirth Trust, NCP, Longevita and Glyn Hopkin. Contact the team at Absolute Digital Media on 0800 088 600 for more information regarding their services.